HCA is a derivative of citric acid that is found in a variety of tropical plants including Garcinia cambogia and Hibiscus subdariffa. Laboratory and animal studies of HCA have produced results that indicate a potential for modulation of lipid metabolism; consequently HCA is an ingredient in some weight loss products and dietary supplements. However, a clinical study has demonstrated that HCA has no effect in terms of weight loss or reduction of fat mass. One isomer of HCA, known as (2S,3R)-HCA, inhibits pancreatic alpha-amylase and intestinal alpha-glucosidase, leading to a reduction in carbohydrate metabolism in vitro. In a study in Zucker rats, which are genetically predisposed to obesity, Garcinia cambogia extract containing HCA showed that high doses led to significant suppression of epididymal fat accumulation, but also had high testicular toxicity. However, this study has been criticized because of possible contamination of the HCA used and various design flaws. Claims that HCA is the ‘best secret fat burner’ are questionable at best. 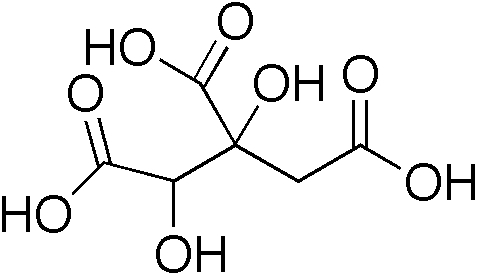 Citric acid is a substance involved in the metabolism of carbohydrates. It is suggested that, in the presence of HCA, excess carbohydrates would be expended instead of being stored as fat. A decrease in appetite is purported to be a side effect of this process, which further promotes weight loss. This certainly sounds good in theory. But… in 2009, a popular brand of dietary supplements for weight loss containing HCA as the main active ingredient was recalled after the U.S. Food and Drug Administration (FDA) issued a safety warning. The FDA received 23 reports of liver problems among those who took them, as well as other problems such as seizures and cardiovascular problems, and one death occurred. Since then the makers of the brand have stopped using HCA in their formulas, but HCA remains the active ingredient in several weight loss supplements that are currently available. Studies on the effectiveness of HCA in animals and humans indicate mixed results. The Zucker rats study yielded interesting results. However, other studies using smaller doses of HCA have found no adverse effects in lab animals. In human trials, there are studies that have found HCA as an effective weight loss supplement, while other studies have found that HCA does not prevent fat storage or promote weight loss. Although some web sites claim HCA is safe, the truth is, we really don’t know. Considering the 2009 recall of products containing HCA and the lack of information on long-term effects, is HCA worth the possible risks associated with it?